I truly think one of the best feelings in the world is putting on a pair of bomb jeans and knowing you look like a rockstar in them. Over the past year, I’ve fallen in LOVE with Levi’s. It’s actually become kind of an obsession to find my favorite styles. I’m usually a 501 or Wedgie kind of gal, but recently I found the “Mom” fit jeans and it truly had me questioning how I could call myself a fashion blogger and not know about these! I don’t where these have been my whole life but, I absolutely love them and the fit is amazing. They’re high waisted, looser through the legs, and tapered at towards the ankles, which I think is the trifecta for a super flattering pair of jeans. They’re true denim, 100% cotton with no stretch, but I ordered my usual size and they’re perfect. I also recently ordered two other pairs that I love. I’ll link them below as well. They’re both true to size and you can see some recent photos of me wearing them here and here. Thanks for stopping by guys! 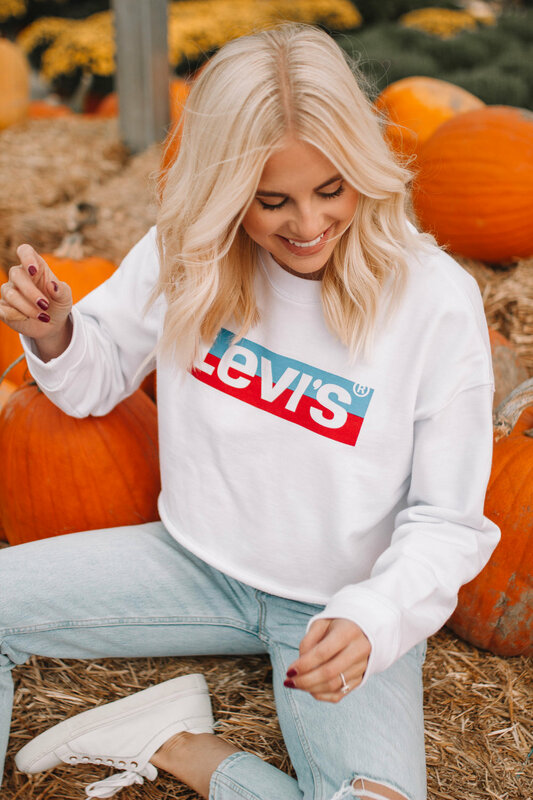 Thank you to Levi’s for sponsoring this post!